The same technique that allows vehicles and machinery to run smoothly today could have been used to transport the monument’s massive standing stones more than 4,000 years ago, according to a new theory. 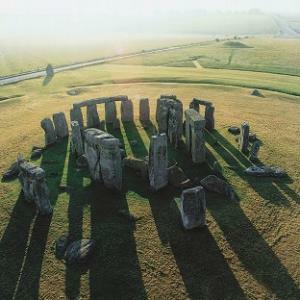 No-one has yet successfully explained how the heavy slabs used to build Stonehenge were shifted from their quarries to Salisbury Plain. Some, the bluestones, weighed four tons each and were brought a distance of 150 miles from Pembrokeshire, Wales. Attempts to re-enact transporting the blocks on wooden rollers or floating them on the sea have not proved convincing. The hard surfaces and trenches needed when using rollers would also have left their mark on the landscape, but are missing. Experts hit on the new idea after examining mysterious stone balls found near Stonehenge-like monuments in Aberdeenshire, Scotland. About the size of a cricket ball, they are precisely fashioned to be within a millimetre of the same size. This suggests they were meant to be used together in some way rather than individually. The Scottish stone circles are similar in form to Stonehenge, but contain some much larger stones. To test the theory, researchers from the University of Exeter constructed a model in which wooden balls were inserted into grooves dug out of timber planks. When heavy concrete slabs were placed on a platform above the balls, held in position by more grooved tracks, they could be moved with ease. Archaeologist Andrew Young described the experiment in which he sat on top of the slabs to provide extra weight. He said: “The true test was when a colleague used his index finger to move me forward – a mere push and the slabs and I shot forward. The team went on to carry out a life-size test funded by an American TV documentary maker. This time, the researchers used hand-shaped granite spheres as well as wooden balls. The results proved the technique would have made it possible to move very heavy weights long distances. Professor Bruce Bradley, director of experimental archaeology at the University of Exeter, said: “The demonstration indicated that big stones could have been moved using this ball bearing system with roughly 10 oxen and may have been able to transport stones up to 10 miles per day. Neolithic people were known to cut long timber planks, which they used as walkways across bogs, Prof Bradley pointed out. Although the tests do not prove for certain that the ball bearing method was used, they show “the concept works”, he said. The next stage in the project is to provide mathematical evidence of how much force would be needed to keep a stone moving. Ultimately, the scientists hope to conduct a full-scale experiment in Aberdeenshire using more authentic materials, stone balls and a team of oxen. 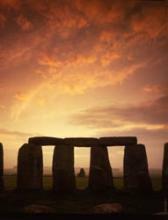 Stonehenge Ball bearing theory ? This is one of the most ridiculous ideas I have ever heard. In principle a clever idea, but not in practice. Just take stock of the situation. To get ball-bearings to roll one has to have precision top and bottom trackways and precise stone balls. So, you go out and cut down a huge tree with a stone axe. Then, with those same stone axes you cut precise ‘planks’ out of that tree, shall we say 12″ wide and 4″ thick to carry the weight. You then have to cut precise grooves in both top and bottom tracks for the balls to roll in…again with a stone axe. How likely is that to have all happened and produced the precision required? VERY unlikely in my opinion! But I’d be happy to be proved wrong so maybe the person who came up with the idea would like to start off by firstly cutting a huge tree down with a stone axe and going from there!